is a semi-retired bi-ritual autocephalous eastern Orthodox/western Catholic bishop and exorcist for the Old Roman Catholic Sacred Order of St. Michael the Archangel (Order of Exorcists) also currently offering private instruction in Gedo Zen, meditation, mysticism, prayer, and Christian esotericism. Through the process of exploring several Roman Catholic contemplative religious orders (focusing primarily on the Cistercians and the Carthusians), he decided upon pastoral ministry and was accepted by the Roman Catholic Diocese of Palm Beach, Florida. There, he entered seminary to become a priest. Within a very short period of time, however, he discovered irreconcilable spiritual corruptions within the program and left to pursue his education privately. During his undergraduate studies, and in order to supplement his training outside of seminary, he was privately mentored in Catholic theology for many years by a Pastor Emeritus of the Diocese of Philadelphia. After completing his degree in psychology, he worked in a multitude of clinical facilities, managing the care of clients suffering from schizophrenia, bipolar disorder and traumatic brain injury, before designing a successful compilation of primary prevention methodologies targeting at-risk children and teenagers. During this time, he also completed post-graduate work in Education, Philosophy and Metaphysical Science, through which he received his ministerial doctorate and attained to the title of Metaphysician for the International Metaphysical Ministry. After many years exploring different religions, while holding a particular emphasis on Buddhism, he advanced in spiritual skill. He soon after realized that it would be impossible to accomplish his vocation within the limitations imposed on him by the Roman Catholic Church, which often restricted him to serving only Roman Catholic members through the lens of Roman Catholic dogma. He then found it necessary to enter into the Independent Sacramental Movement and work his way through independent Catholic ministry, ultimately being Consecrated by his bishop under the traditions of the Eastern Church. 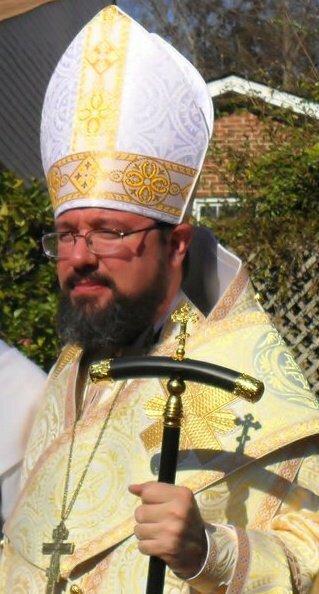 Soon after, he was appointed by his congregation to serve as Patriarch of both the Holy Nicholean Catholic Church (the western arm) and the Holy Imperial Russian Orthodox Church (the eastern arm). In this time, he also sat on numerous private boards, worked to resolve inner-city adolescent homelessness, and became an accomplished instrument-rated pilot. Through his commitment to the clerical life, Bishop Ouellette has brought the theological diversity of the early Church to our contemporary world. Formulating a specific praxis, he has established programs for his monks, clergy, and students that offer a direct and tangible relationship with God, one that is based primarily on experience rather than on a faith in what is often left to unjustified speculation. Bishop Ouellette is a modern, revolutionary Catholic bishop with an unyielding respect for ancient tradition; yet, he advocates strongly for the evolution of the Church and for that of spirituality itself. He has been featured on Travel Channel’s Ghost Adventures, in Rolling Stone magazine and presently holds the Office of Patriarch for the esoteric religious organizations: the Holy Nicholean Catholic and the Holy Imperial Russian Orthodox Churches. These Churches function internally, behind the Christian cloister, hidden far away within the heart of contemplative monasticism.